Wood vs. Faux Wood Blinds – What's the Difference? 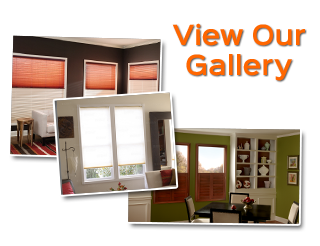 As a West Tampa homeowner, you are going to have to think about your window treatment options, such as blinds. 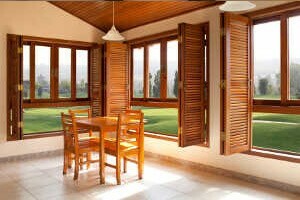 One of the most common questions that comes up is what’s the big difference between wood and faux wood blinds. As a trusted Tampa shutter company, we have the answers. Before making a decision for your home of office, here are some things you should know. For some homeowners, only real wood will do. There is something in the natural richness of real wood that cannot be found in any other type of material option. The thing to keep in mind is that with the authenticity of real wood comes the need to invest more effort into care. Not to mention, you can certainly expect a bigger price tag, as well, but this also increases the value of your home so it can be thought of as more of an investment. The best thing you can do is work with an expert to help ensure that you get the information you need in order to make such important decisions. When you work with a company for your blinds, they should be willing to discuss your options with you, as well as show you what they are. If not, then it is time to find another company to work with. 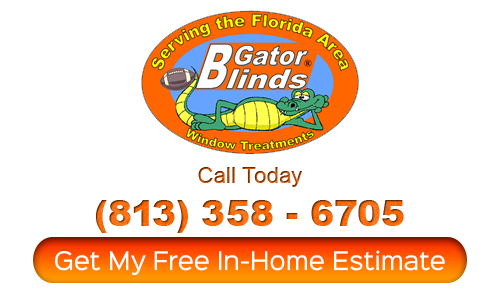 Since 1999, Gator Blinds has been the name that locals trust in for all of their window treatment needs. 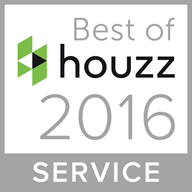 We know what it takes to provide our customers with the best in quality service, products and pricing. We are able to offer brand name wood blinds and faux wood blinds products for a fraction of the cost that other retailers do – up to 25% lower, in fact. Now, we look forward to working with you an showing you in person how we have earned the flawless reputation we have. Call today to set up a free in-home consultation, or stop by our showroom and take a look at all that we have to offer. Whether you want wood or faux wood blinds for your West Tampa home, or anything else for that matter, we can take care of that for you.